﻿ Hotel Zara Napoli, Naples | FROM $28 - SAVE ON AGODA! "Breakfast included, with real cappuccino." Have a question for Hotel Zara Napoli? "Staff all charming and helpful." "The staff, location, room and price are amazing!!" 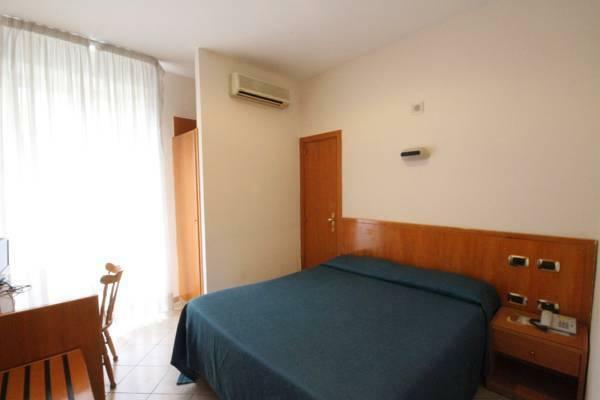 Hotel Zara Napoli, located in Stazione Centrale, Naples, is a popular choice for travelers. Situated only 0.5 km from the city center, guests are well located to enjoy the town's attractions and activities. With the city's main attractions such as City of Naples, Stazione Napoli Centrale, Cioccolateria Dolci Sapori within close reach, visitors to the hotel will just love its location. Take advantage of a wealth of unrivaled services and amenities at this Naples hotel. A selection of top-class facilities such as free Wi-Fi in all rooms, 24-hour front desk, express check-in/check-out, luggage storage, Wi-Fi in public areas can be enjoyed at the hotel. Step into one of 14 inviting rooms and escape the stresses of the day with a wide range of amenities such as television LCD/plasma screen, internet access – wireless (complimentary), non smoking rooms, air conditioning, heating which can be found in some rooms. Besides, the hotel's host of recreational offerings ensures you have plenty to do during your stay. 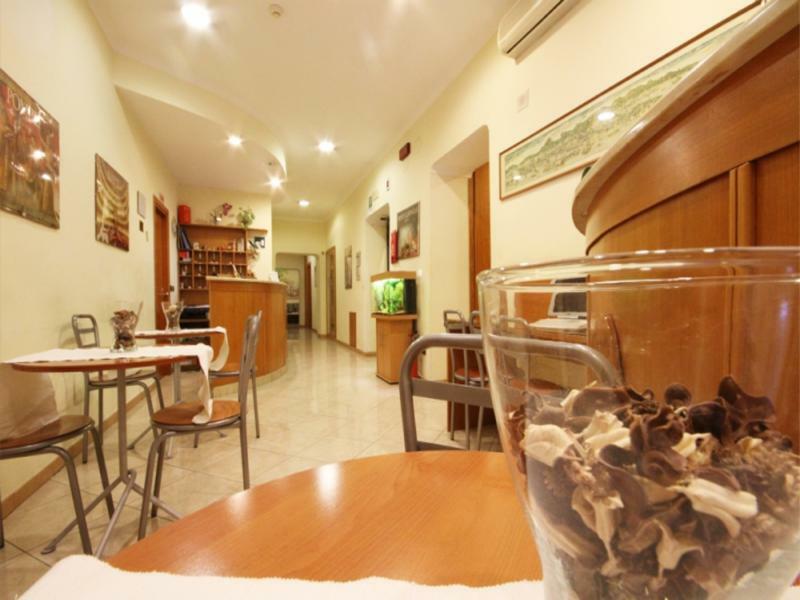 Hotel Zara Napoli is an ideal place of stay for travelers seeking charm, comfort and convenience in Naples. "The hotel itself is clean and the breakfast is good." It is in the sketchy Piazza Garibaldi neighborhood, but convenient to the station, air bus, and sights. Breakfast included, with real cappuccino. When you're walking down the street, and up the stairs, if you're a standard American, you'll be thinking "Oh, my God, what was this reviewer thinking?!?" But really, truly, it's a lovely place, and you'll be just fine! It's my go-to spot to stay in Napoli, and I've been here bunches of times. Be aware that some of the rooms have a bathroom down the hall. Just a short walk from the train station to a nice friendly clean hotel. The hotel is in the old part of Florence which the area is quite a bit run down. There are a lot of what seams to be unemployed people sitting about all day and all night doing nothing. Doing nothing for the area, the community or themselves. We were told that this problem has happened in the last couple of years. There does not seam to be any street cleaning as there is a lot of rubbish/ discarded food lying about. We used a few shops and cafés in this same area and the people are lovely. The staff, location, room and price are amazing!! Near the train station in Napoli but also lots of illegal trading of every kind going on on the street ... teenage kids were scared by it but the hotel itself seems secure and is OK. Not recommended for families. The location is near train station, but be aware that there are lots of shady people in the neighborhood. I almost got pickpocketed twice around the area. One time the person tried to open my bag, and second time my jacket zipper (on my waist). The hotel itself is clean and the breakfast is good. We had to wait for the check in for a while, since the room is not ready although they told us that we could check in at noon. The lift is rather funny, operated with 10 cents coin. As the hotel is near to the Central Station, which happens to be a place crowded with little stalls selling handbags, electronic, etc., walking around is a bit scary. Good: Location of the hotel was right next to the main train station. The rooms are old fashioned, good size and very clean. Very basic breakfast and but overall good value for money. Bad: Our experience was ruined when one of the staff shouted at my wife when she was squeezing toothpaste onto her toothbrush in the breakfast area. We tried to explain that we were changing rooms and had no intention of cleaning her teeth in the breakfast area. A big argument ensued where I pointed out that the same staff member shouldn’t be smoking on the balcony by the breakfast area. Doors being closed and the toilet flush were extremely noisy. Wifi is very poor on the first floor but ok near reception on the second floor. It’s close to the central station and easy to find. With clean room, Wifi and basic breakfast. It’s value for the price. TV at room was very small but instead you can see bigger TV at TV area. The hotel was about a 10 minute walk to the train station. Very convenient location, but Naples is pretty ghetto/scary. We only stayed here one night. The room was pretty big and had a private bathroom. There was free wi-fi, but we couldn't get it to work. It wasn't the nicest hotel, but it was convenient and cheap. 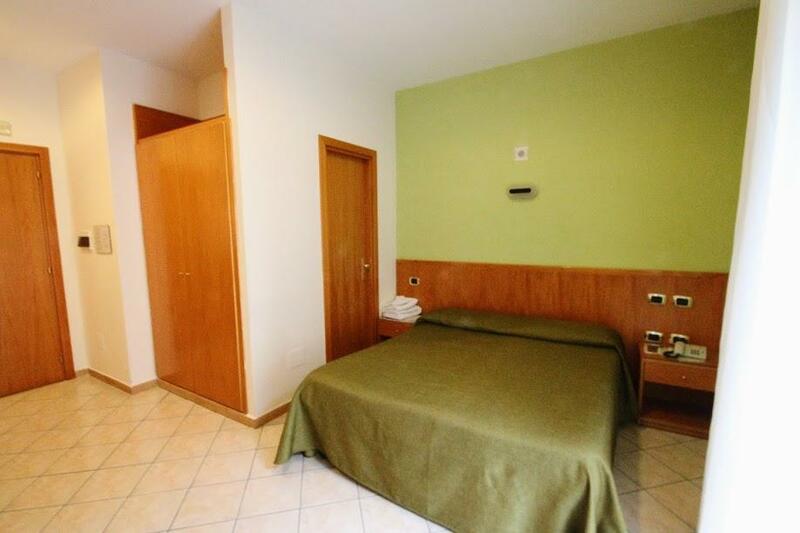 The Hotel Zara is not a place to book into if you are after creature comforts - it is a serviceable room in a not-so-nice part of Napoli (close to the station which is convenient, but which regularly seems to be a rougher part of town). The hotel is located on the second floor of a building, rather than being a separate building of its own, so you need to find the building, then buzz up to the floor to get to the hotel - it can be a little difficult to find when you are checking in, especially late at night. The staff can seem slightly daunting at first, but then again your experience may be different if you speak Italian - you will have to interact with them on a daily basis as you will be asked to leave the room key with the reception (open 24 hours although I didn't really test this) when you leave the building. You will also be given breakfast, but it may be worth skipping it to pick up a quick breakfast and espresso from any of the nearby shops. The hotel is good value for its price, but it seemed to me to be in a rougher part of Napoli - if you are after a harbourside experience, then this is not the place for you. If you are looking for a place that is close to the station, then it may be what you are after. Peccato che la zona negli ultimi periodi sia diventata un ghetto per immigati, comunque ben presidiata dalle forze dell' ordine. E' stato un ottimo punto di partenza per visitare la città.